Thank you to everyone who has reached out to me to tell me that they like my blog posts and videos. 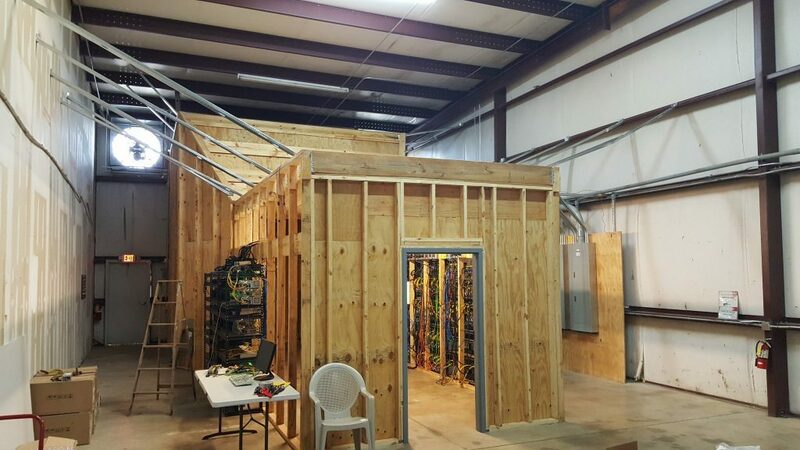 I intend to keep doing the posts and videos and will continue to share the information I learn running a mid-size Bitcoin and Altcoin mining facility. In fact, I am going to provide more details, like the models of the HVAC equipment I used for cooling, the types of Electric panels used, and maybe the architectural plans for the space that we did our first stage buildout in, which has 250K Watt of electricity dedicated to mining, with room for another 250KW on the transformer. I will also organize some of the blog posts onto a page for mining information, and do the same with video. When I started this I had also planned on being available for consulting to other people. 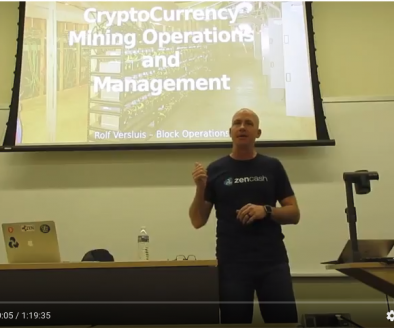 For those of you who have asked questions on the blog posts and videos (preferred), emailed, filled out the contact form, and called, I am really happy to help you all in this confusing business of mining cryptocurrencies. What I’ve realized is, I don’t have time for consulting. I have a family, and we homeschool our 4 kids ages 10-17. I just can’t be on the phone or a plane all the time. That’s why I set up the mining business in the first place, so I could with the people I care about the most. I’m still happy to talk and provide advice, and although I’ll do it in a one-to-one format, my preference is in a one-to-many. If you send me an email or leave me a message, I will work to answer your questions in the form of a blog post or a video, or add it to the upcoming FAQ section. Regarding investment. People ask me on a regular basis if they can hire me to build and run a mining facility for them, or if they can invest in my mining facility. That’s never been something I was looking for, and it’s not something I am interested in. At all. I have plenty of money and don’t want to spend all my time chasing after more. I like my family, and I like to spend time with them, so that’s what I do. Although I do like to get involved in interesting projects. One I am involved in right now is ZenCash. 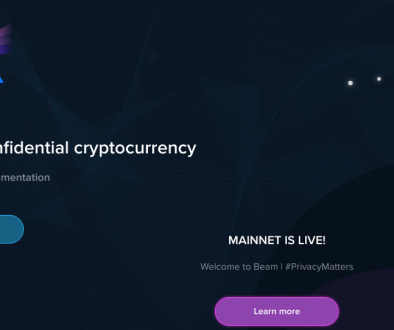 It’s a cryptocurrency that’s launching as a fork from Zclassic May 23. I’ve been spending some time writing articles on the ZenCash blog and doing videos on the ZenCash youtube channel. It’s also why I’ve been mining Zclassic non-stop for the last few months. Everyone who owns Zclassic on May 23 will get the same amount of ZenCash at launch, just like what happened with Ethereum and Ethereum Classic. 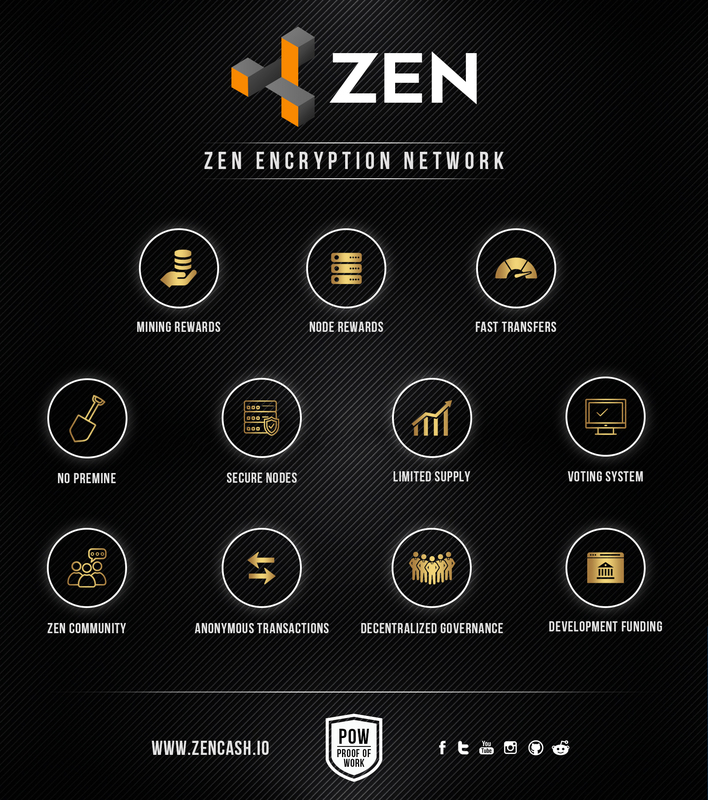 ZenCash could use more supporters – more information can be found in the links below. Thank You very much for information in your website and Youtube. 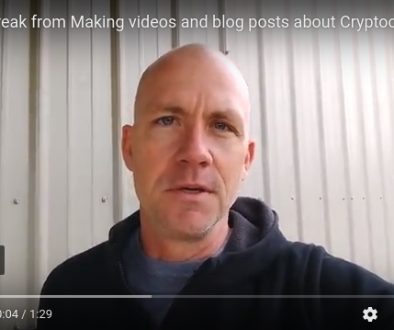 Really, most important crypto news are collected and shared here. Agreed – Rolf you are quite an awesome guy! Thank you for sharing all this info. Some would seem greedy and now willing to share their wisdom – but…to the contrary – you are most inspiring! Thank you and best wishes to your continued success! Very interested to learn more about your HVAC setup, thanks Rolf! The basics are move lots of air. I like to use about 250-300 CFM per miner as a rule of thumb. And use filtered intake fans to reduce the dust on the machines. Paul, I am going to ask one of my fellow miners, initials JG, to reach out to you. He is an experienced GPU miner and may have time to assist. You are the best!!! I would be so thankful of you, and JG. Everyday I’m not mining becomes more and more frustrating after so many nights troubleshooting and reconfiguring my setup. I did save bothering anyone as my absolute last resort! Paul, Shoot me an email tomorrow and lets see if we can get on the phone. Jay, thanks for helping Paul out! 1 – How mush air flow i must prepare ? 2 – How can i dispose of moisture ( humidity in the air ) ? 3 – What actually space i need ? 4 – What is internet speed i need ? 5 – Do i need VPN ? I like the profitability of the L3+ much more than S9 right now. If you can buy them, get 50 L3+ instead of S9. I don’t worry about moisture in the air, it has not been a problem yet, and it is humid here in Georgia. You should plan about 300 Cubic Feet per minute of airflow per miner, and a way to prevent hot air from recirculating from the exchaust of the miner to the intake. You don’t need much space, but it will be noisy. Internet can be about 1.5 Mbps, but it must be reliable with low latency. You don’t need a VPN…but I like having a VPN built into the network firewall for remote work. there’s an email on my contact page – best of luck with your project! Do you have more pics of the setup above? I do – probably the best is a video that I did on my youtube channel – I am doing an expansion right now and am taking pictures as I go. Right now I have about 170 miners in this building and should be at 350-400 in 2-3 months. Wonderful stuff Rolf, thank you. You mention preferring the prospects for L3+ over the S9. I will look on the site to see if you have commented on this but I am curious if you have a brief explanation? Also, you mention your ramp up schedule now that your infrastructure is in place. It seems to me acquiring the hardware, at least Bitmain units (from Bitmain, at “reasonable” prices), is one of the most challenging hurdles. Any advice on purchasing Bitmain hardware or recommendations on other vendors? Thanks. I have been starting a small bitcoin farm of 100 machines. While scaling it I have a faced a particular challenge on the Antminers with an issue of Connection Socket Error on various models. This goes away almost always by itself after resetting the machines. Wanted to check if you faced any such problem during your setup.